Clearly charming tropical surroundings make for a truly memorable vacation. Delightful shops, restaurants, and award-winning beaches are here to welcome you to Siesta Key, Florida. Siesta Key beaches are the island’s premier claim to fame—Voted #1 beach in America 2011 and 2017, America's best beach, 3rd best walking beach in US, Best of the best Sand and chosen as “Best Overall” in the 1987 International Sand Contest and named as the “Best Sand Beach in America 2004” by The Travel Channel. It’s the soft, clean, pure white sand that brings in these awards and lures visitors back again and again. 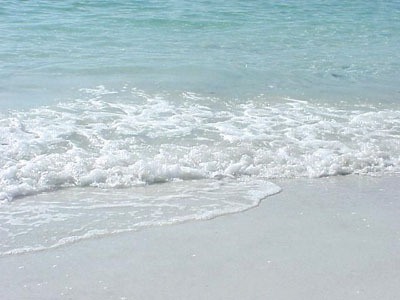 Composed of 99% pure quartz crystal, the fine white powdery sand stretches wide and miles long next to the gorgeous Gulf of Mexico, inviting you to walk along or play upon it. Pelicans soar overhead, gulls play, and shorebirds wade and fish for their dinner. Dolphins and manatees grace the waters of the gulf and bay. Lush tropical flowers, majestic palm trees, and warm gulf breezes make Siesta Key the perfect place to enjoy a beautiful island vacation. 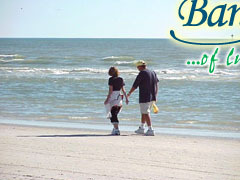 Tennis and beach volleyball courts, a playground, and picnic areas are available at Siesta Key Public Beach. You can rent boats, jetskiis, and parasails nearby. Surf, swim, collect shells, or just sun yourself on one of the best beaches youll ever findanywhere in the world! whether its practical or whimsical, you can probably find it without leaving the island or starting your car. Siesta Key Banyan Tree Beach Resort.